It's been a busy week at my house, between trying to catch up on sewing commitments that were quickly creeping up on me and having some good old-fashioned family time as well. I spent some quality time with my project for the EZ Dresden Challenge, which I'm happy to say is now done! 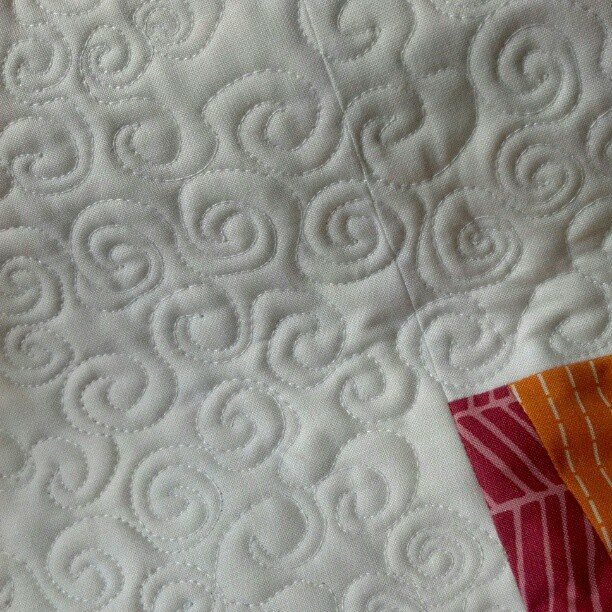 I had a lot of fun trying to come up with something fun and different to do with a dresden ruler, and I had even more quilting this one. Can't wait to show you! 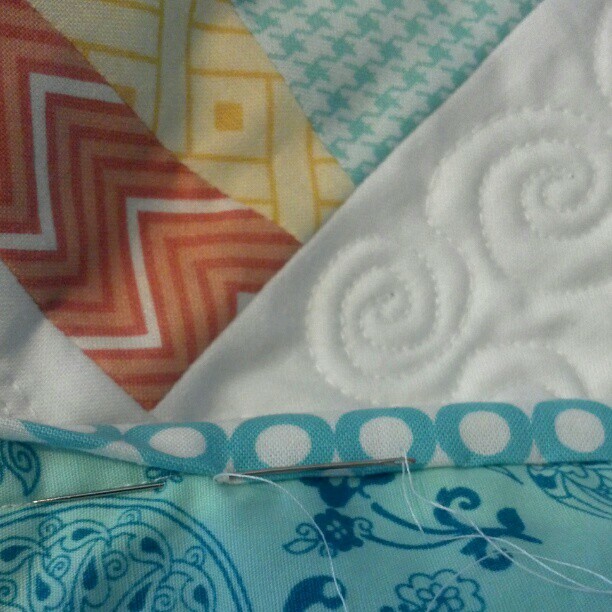 For more details on the challenge, you can visit the Salt Lake Modern Quilt Guild, who is one of the fab sponsors of the challenge, and you can stay tuned here for the full reveal of this quilt coming on Sunday. It's the munchkin's last week of his first year of preschool, which is both exciting and bittersweet for me. I'm super proud of him and how well he's done, but sad to see this year over already. Next year, he'll have a year of pre-K before heading off to kindergarten, which surely will bring me to tears. It's amazing to compare pictures of him now to pictures from a year ago; he all of a sudden looks like such a big boy, not a baby at all anymore. We had a blast at a friend's birthday party this weekend at a fantastically sprawling county park that was new to us. The kids were especially enchanted with a light-up frisbee. Have you ever watched preschoolers throw a frisbee? Super funny stuff :) We even spotted a gator in one of the streams at the park, super close to a sign warning folks not to feed the gators. Good thing the gator seemed more interested in being in the water than out in the grassy areas of the park! Oh, and stay tuned for a fun announcement coming in the next few days about a holiday-themed blog hop that I'm planning, to give you a head start for your holiday sewing. Happy Tuesday!